Not a single function in your entire body could happen without the nervous system telling it to do so. This all-important system runs through your spinal cord and is protected by your spine. You can think of the spinal cord as a highway, with nerve roots that come out of it like on- and off-ramps. These ramps, then, spread into different “neighborhoods,” or areas of the body. 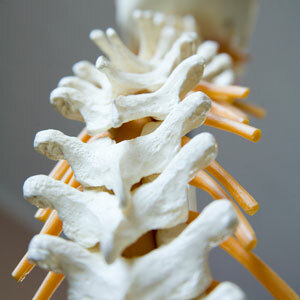 If there is trouble in your spine, then, it can put pressure on the nerves that result in problems throughout the body. As a chiropractor, Dr. Kobdish locates these interferences and corrects them so the nervous system can work optimally. Hundreds of chiropractic techniques have been developed. Over his years in practice, Dr. Kobdish has identified those that get the best results for his patients. Most often, he uses Diversified and Thompson Table-Assisted Adjusting. You may need both techniques on the same visit, depending on what your body needs. All of Dr. Kobdish’s methods are pain-free. If you’re one of the millions of people today who suffer from debilitating low back or neck pain, you may benefit from the advanced nonsurgical spinal decompression therapy Dr. Kobdish offers. It mobilizes your spine using traction, easing the pain or injured discs without resorting to surgery. It’s effective for combating numbness, tingling, weakness and shooting pain in the arms or legs. If you haven’t responded to other options and your surgeon has said you’ll require an operation, this therapy may help you avoid it. One of Dr. Kobdish’s patients was a triathlete who had a laminectomy that failed and was in worse shape after the procedure. She started weeping on the table and told Dr. Kobdish that she wished she’d tried spinal decompression first, before resorting to surgery. What you do in between your visits will affect the time and money you need to spend at BackMenders-Chiropractic With Care. Dr. Kobdish may recommend exercises and stretches to you that will assist in your recovery. These may involve a foam roller, yoga poses and other things you can do in the convenience of your home. When appropriate, he will discuss nutrition and supplementation. Find out what we may be able to offer you — contact our East Dallas office today! Convenient appointment times are available in the morning and evening.